The Illusion is the debut album from Dream Machine, the group established by husband and wife team Matthew and Doris Melton, with Dillon Fernandez and Rudy Spencer. The Austin based band has created a sound that brings to mind some of the super groups of the sixties including The Doors, Iron Butterfly and Deep Purple, which are all influences as well. The entire album is unlike anything you will hear on your playlist now. The first song “The Illusion” sets the stage nicely with a theatric musical introduction that is high energy. The organ is the first instrument that comes to the fore and makes its’ presence known in all the tracks. “The Illusion”, with Doris Melton singing lead, is the perfect rock song to begin the journey. “Lose My Place In Time” could have easily been in a set list for The Doors, both with the music and lyrics. A personal favorite is “Back To You”, an instrumental tour de force for the first two and a half minutes. 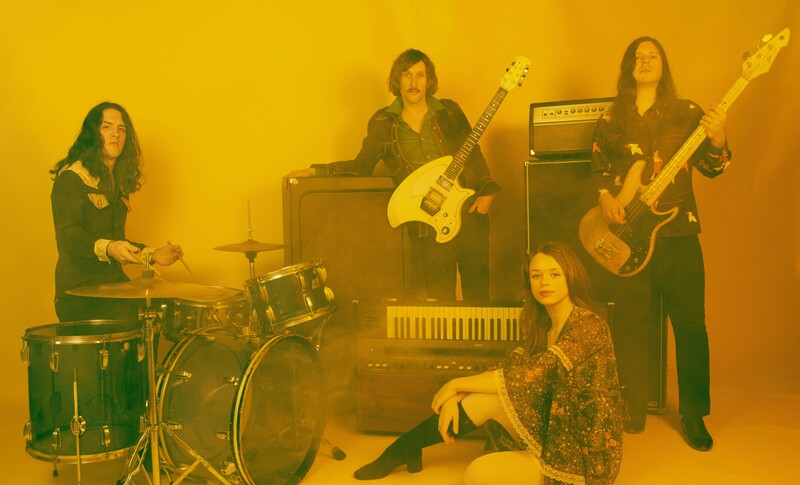 It is pure rock and roll with a psychedelic vibe using the organ. The Illusion is available for preorder now. Keep up with the band here.